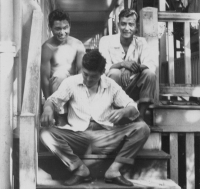 The men of the 100th were making their way back to Hawaii in the summer of 1945 as they were released from hospitals or discharged from the Army. 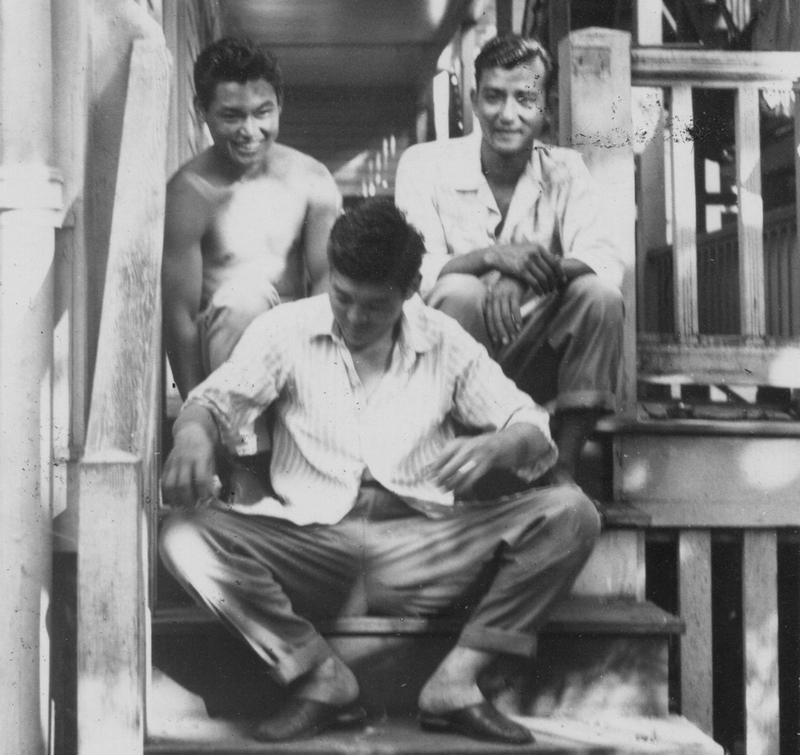 An interim organization called Club One Puka Puka was organized as these men waited for the return of the rest of the battalion. They compiled rosters with names and contact information of battalion members and started making plans for the Club. When the veterans returned to Hawaii, their main priority was to re-establish their lives – to find jobs, get married and start families, or further their education using the G.I. bill. However, the Club was fortunate to have some strong leaders and veterans who were active members in these early years. In December 1945, Club One Puka Puka was dissolved and Club 100 incorporated under the laws of the Territory of Hawaii. Mitsuyoshi “Mits” Fukuda, the last battalion commander, was elected President. Other officers were Vice Presidents Mitsuru Omori (At Large), Stanley Masumoto (Maui), Kazuma Hisanaga (Hawaii), Kazuto Yoshioka (Kauai), Katsumi Kometani (Oahu); Secretary, Edward Yoshimasu; Assistant Secretary, Warren Iwai; Treasurer, Hideo Kajikawa; and Assistant Treasurer, Tadashi Ohta. One of the first actions by the Club was to award honorary memberships to General Mark Clark, Major General Charles Ryder, Lieutenant General Lucien Truscott, John McCloy, and Earl Finch. James Lovell succeeded Mitsuyoshi Fukuda as President in 1947, followed by Richard Mizuta in 1948, and Sakae Takahashi in 1949 and 1950. All three had been original officers of the battalion. In 1948, the Club’s structure was reorganized and new by-laws established. The Oahu Chapter was abolished and replaced by chapters on Oahu organized along battalion company lines. A former Japanese language school property at 1444 Nuuanu Avenue in Honolulu was purchased in 1946 from the Hawaii Veterans War Memorial Association for $43,500. The Club office was located in the main concrete building, while a separate cottage was used as a dormitory for members. A wooden building on the property had a boxing gym which was used often by some veterans. The first edition of the Puka Puka Parade was published in April 1946, and Naoji Yamagata, a veteran from A Company, was hired as Executive Secretary in August. Three years later, this property was sold to the Kuomintang Society for $70,000. From the net proceeds, $5000 was donated to the Hawaii Veterans War Memorial Association, to be used for scholarships for deserving students.